This might be my favorite advent yet. 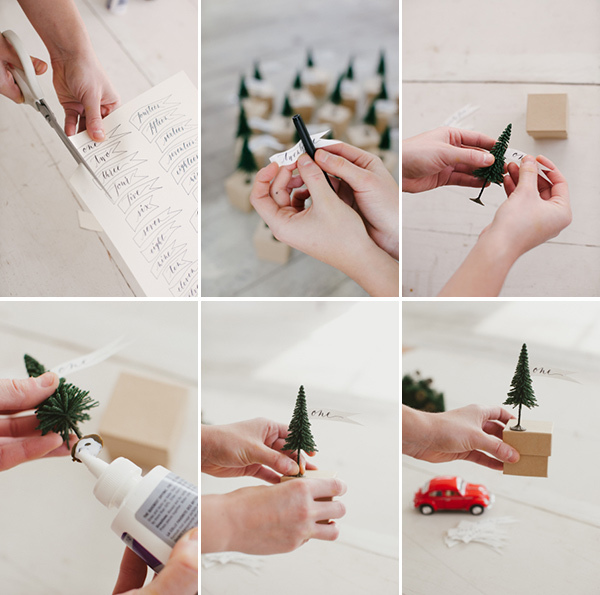 All you need is the free downloadable template and glue to make this little forest come to life. Click through for full details and sources. Step 1: Download the free template, print it out and cut out the little flags. Step 2: Take the flags and bend them around a pen so they are wavy. Step 3: Take the quick dry glue and add a little to the end of the flag before attaching it in the tree branches. Step 4: Add glue to the bottom of the tree stand and put it on the lid of the box until dry. these are so cute and so easy! i love the miniature forest, capped off by the little red car with the tree on top. so adorable! Love it!! 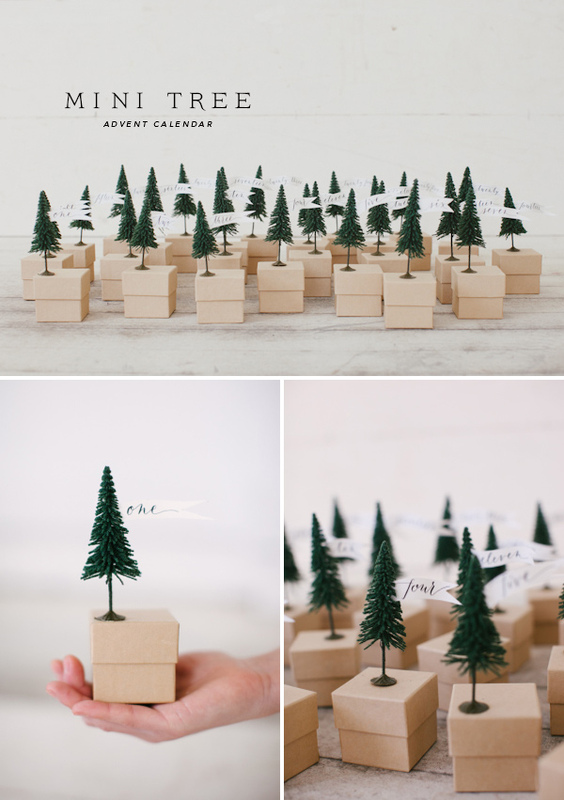 One of the cutest advent calendars I’ve seen…I might just have to make one this year! soooooo cute!!! i’m going to try to make this after all the thanksgiving craziness. i don’t have kids of my own, but i’m a teacher and i do have a classroom full of little ones who would love this! This is brilliant–I love it! Thanks for sharing! Have been following your blog for awhile, but this is my first comment–just want to say that I adore all your stuff, really! And, my husband & I were in San Francisco in October, so I came to your blog to get all the good details. We loved the ferry building! You always have the most adorable DIY crafty projects, Jordan!! Advent calendars were always a favorite when I was young. This is darling! I reeeeally love this, Jordan! If I don’t end up sewing one, this is the perfect idea. Ohhhh my goodness, this is by far the best advent calendar I’ve seen. I LOVE it! This Advent calendar is so adorable! loving this lots and lots. and how sweet that there are fun activities within each little box, so thoughtful. Cute and clever like always! WOW WOW WOW! So amazing! What a sweet project! I especially love the little flags attached to the trees. 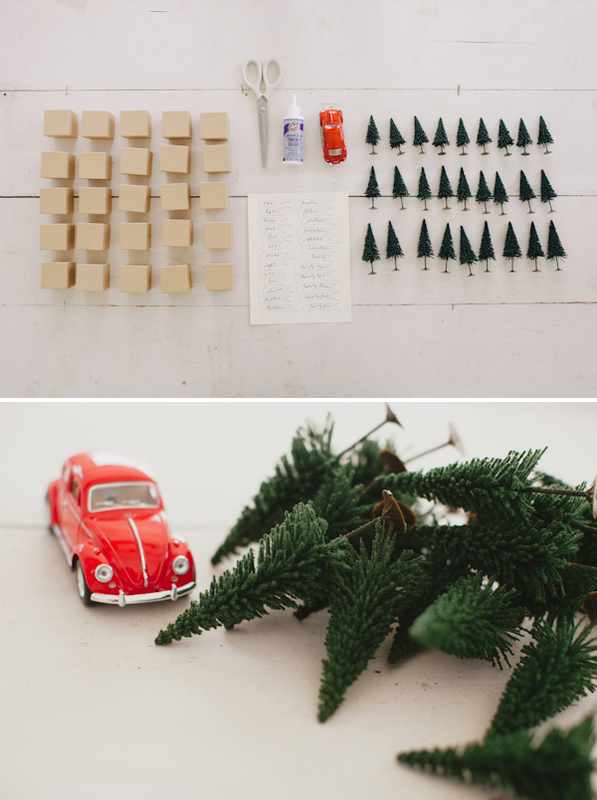 And I totally need to tie tiny Christmas trees to all of my mini MINI Coopers! It’s a great project. I have to search for this little trees in my town!! I love it and specially the philosophy behind it. Your children have a great and sweet mama! I still have to decide what kind of Advent calendar I want! How can I thank you enough ! I have been fretting these past two weeks about whether or not to make my own Advent Calendar and whilst I loved the idea of it … the presents for each day was making me feel queasy. But now after having looked back over your previous ones there is so much you can do that doesn’t have to be so expensive …. Thank you thank you thank you in a million ! so nice! what a lovely advent calender! Hi Jordan ! This is beautifull. I adore your blog, ideas, DIY,… I’m working for the french magazine Avantages. I did send you mails end tweet because we would like to work with you. It’s urgent. Can you contact me ? This is one of the cutest advent calendars I’ve seen to date! this is definitely the best advent calendar i’ve ever seen!!!! Just love this idea! and you are so right when you say it’s easy to miss all the nice parts of Christmas on the run-up to Christmas, especially when we are busy working. This simple idea gives a nugget of Christmas every day and reminds you of the important things and the things we should enjoy. Thank you for sharing. I’m over the top in love with this! Especially the tiny red VW bug. I drove one just like that 38 years ago!!! Ha! Where did the car come from? Thanks! I’ll second that! I want my own little car! Agree! Agree! This is the cutest thing I’ve ever seen! That VW just completely tops it off! This is an amazing idea!Wow! Omg I love this and must make it!!!!! What size boxes did you use- 2 inch by 2 inch? I LOOOVEEE this trees! I already purchased this lovely one from etsyL http://www.etsy.com/listing/115230005/advent-calendar-pdf? But I will def keep this in mind for next year! Where oh Where did you find that Mini Cooper? It is the perfect accent! This is my favourite calender by far! Cannot wait to make one for myself! 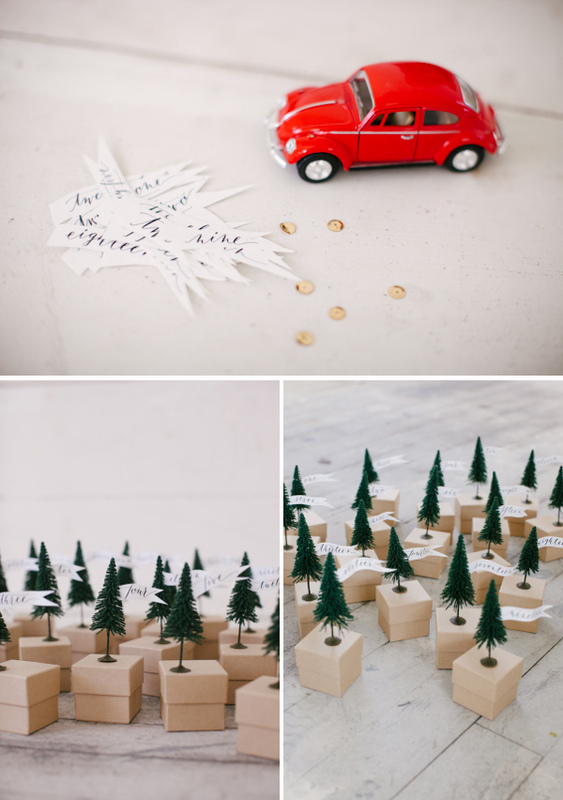 This is is such a lovely idea and what a cute accent the tiny car is too! have to manually code with HTML. I’m starting a blog soon but have no coding know-how so I wanted to get guidance from someone with experience. Any help would be greatly appreciated! 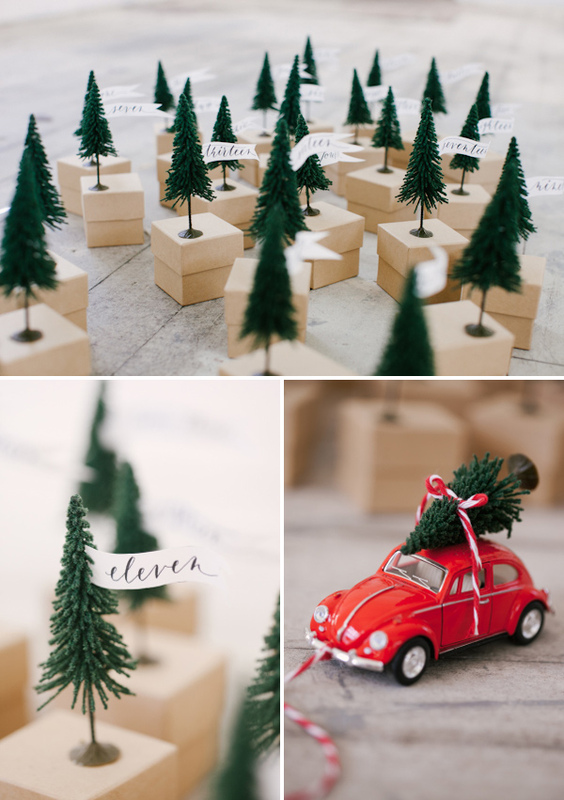 Oh I adore this… I particularly love the little red car with the mini Christmas Tree strapped to the roof as it just reminds me of the annual buy the Christmas Tree and carefully drive it home routine. What a brilliant, original idea. These are so cute.Thanks! What a brilliant, original idea. These are so cute. Thanks!